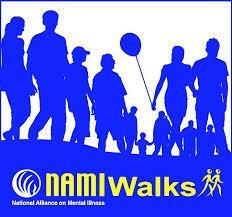 NAMIWalks Los Angeles County 2014 will be held on Saturday, October 11 at Grand Park. Pedestrian entrances are located at 200 N. Grand Av and 201 N. Hill St. 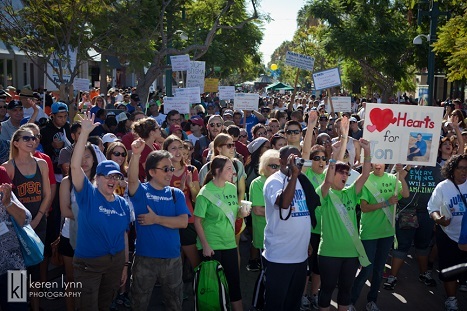 The 5K Walk route begins at 10 AM after a Pre-Walk Program at 9:15 AM. Those who wish to walk a shorter distance can turn back when they wish, or walk the perimeter of beautiful Grand Park itself. Walkers will enjoy the fantastic urban art and architecture of downtown Los Angeles and end back at beautiful Grand Park with music and activities such as a best designed NAMIWalks t-shirt contest, best-dressed NAMI dog, face painting, hula hoops and bubbles for the children, raffle prizes, and more!